Cover design by David Curtis and cover art by Pascal Campion. 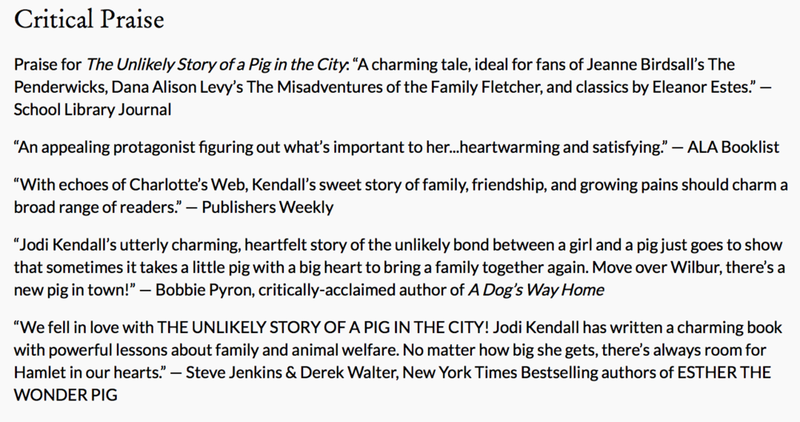 In this delightful middle grade debut, a little pig in a big city leads to lots of trouble. Josie Shilling's family is too big, their cramped city house is too small, and she feels like no one's ever on her side. Then on Thanksgiving Day her older brother, Tom, brings home a tiny pink piglet he rescued from a farm outside the city. Her name is Hamlet. The minute Josie holds Hamlet she feels an instant connection. But there's no room for Hamlet in the crowded Shilling household. And who ever heard of keeping a pig in the city? So it's up to Josie to find her a forever home. This modern-day homage to Charlotte's Web is a heartwarming tale of family, belonging, and growing bigger when you've always felt small – perfect for fans of Katherine Applegate and Cammie McGovern. Nominated for a 2019-2020 Young Hoosiers Book Award by the Indiana Library Federation! Buy now from IndieBound, Barnes & Noble, Books-A-Million, Powell's, HarperCollins, Target and Amazon – and at your local bookstore! You can also ask your local librarian to order a copy. 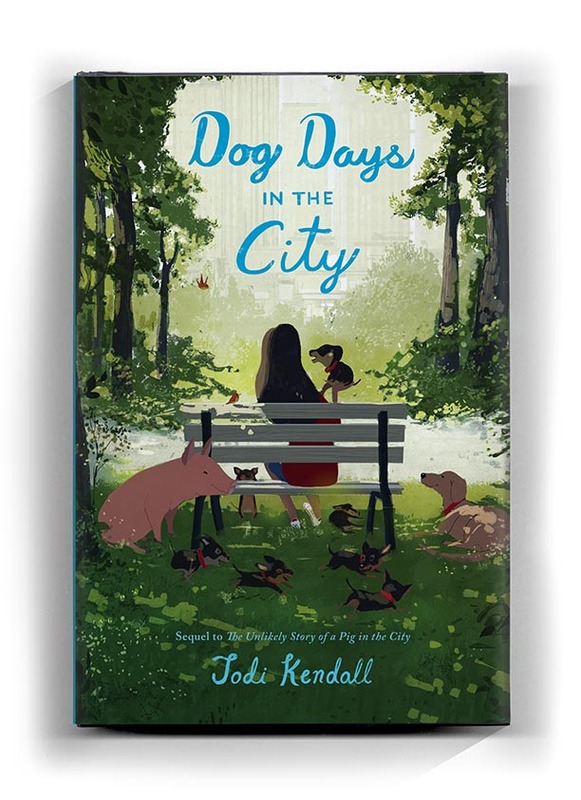 DOG DAYS IN THE CITY is the sequel to THE UNLIKELY STORY OF A PIG IN THE CITY. Josie Shilling loves animals. She helps care for her family’s golden retriever, Sugar, and even used to have a pet pig named Hamlet. When her family gets too chaotic, volunteering at the local animal clinic is the one place Josie truly feels like herself. 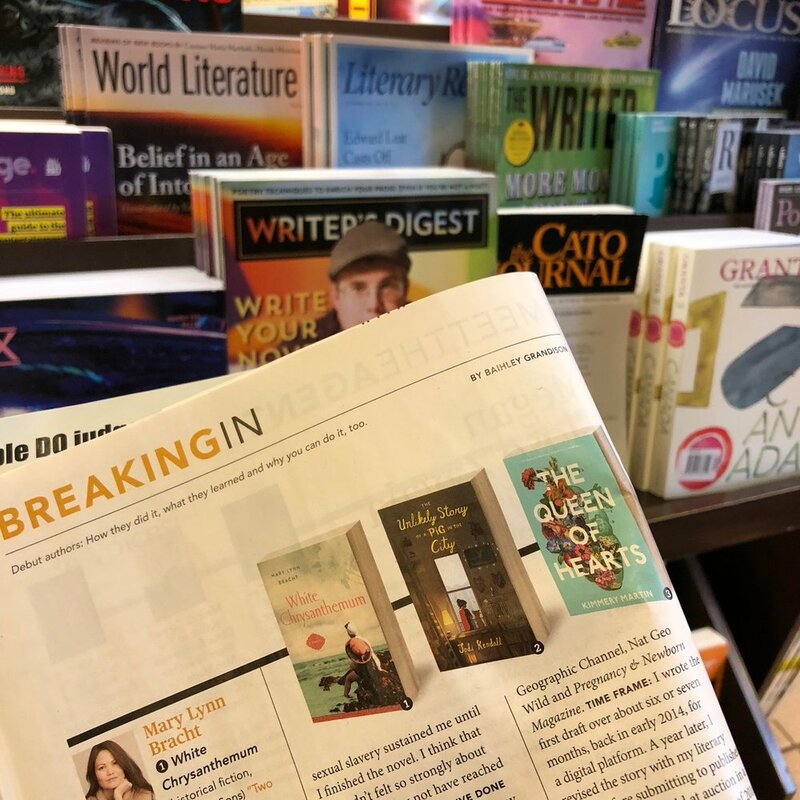 On shelves NOW wherever books are sold!